TeamDev Blog: DotNetBrowser 1.x is launched! Having gained profound experience in Java integration TeamDev is stepping forward to use its expertise to the advantage of .NET developers. Today we are happy to announce the launch of the DotNetBrowser – a new great way to use all the benefits of Chromium web browser engine in .NET applications. 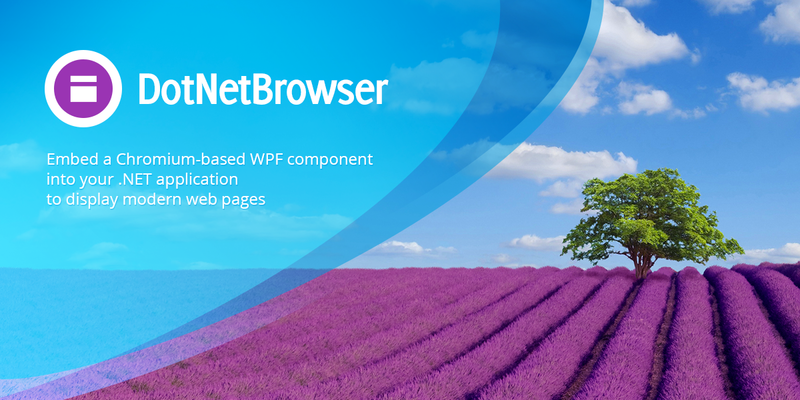 DotNetBrowser provides WPF component that you can embed into WPF Desktop Application to display web pages. HTML content is rendered by Chromium engine. The component displays graphics that is rendered by Chromium engine in separate process. The library supports Chromium's Multi-Process Architecture. There are no differences in web page rendering between DotNetBrowser and Google Chrome. The web page will look exactly as in Google Chrome. The library is available for download. We would be glad to hear your feedback or provide help with use of our product on DotNetBrowser support forum. Thanks for sharing this great blog. That is very interesting to read and I am always searching for informative blog like this. JExplorer has been updated to 3.1.